The ARRL Regulatory Information Branch is responsible for interpretations on Amateur Radio regulatory issues. These include concerns about FCC rules and regulations, application for a new or renewed amateur license, a change of address, vanity call sign applications and operation overseas. 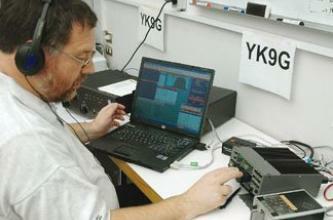 The FCC pages are key to understanding and complying with the regulations of Amateur Radio. Part 97, Part 2, Emissions and Part 15 are all important pieces to this regulation. Radio Frequency Interference affects all hams. ARRL HQ receives many questions on all sorts of regulatory topics, particularly those on license renewal, changes of address and related licensing questions. These are questions amateurs will all have to deal with eventually. It's still a simple process, especially for ARRL members. With the implementation of the Universal Licensing System, amateurs have more choices in filing applications. Amateur applications can be filed manually using paper forms or electronically over the Internet. In all cases, you must first be registered with the FCC under the Commission Registration System (CORES), the mechanism for making such changes under ULS. The FCC no longer accepts the old Form 610, but only the FCC Form 605. Clubs must go through a Club Station Call Sign Administrator of which the ARRL VEC is one. The FCC no longer accepts applications directly from clubs, unless the club is requesting a Vanity Call Sign. For an overview of the licensing process in an easy Q & A format, see the QST Washington Mailbox column of September 2001, p. 89 (amended and updated October 2003). The License Application Filing FAQ below goes into more detail. The Regulatory Information Branch manager maintains and administers the Volunteer Counsel and Volunteer Consulting Engineer Programs, answer general regulatory questions as well as those on the FCC preemption of RFI, antenna restrictions (PRB-1 and CC&RS) and international operating. They work with ARRL officers and ARRL General Counsel on legislative matters of concern to the ARRL. 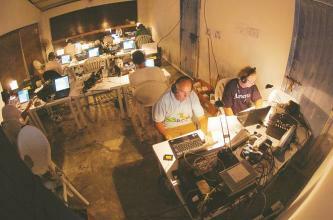 They also work closely with the MVP Department's Official Observer Administrator and the ARRL Monitoring System. Contact the Regulatory Information Branch. Everything you and your attorney need to know to get a permit for your antenna support system.